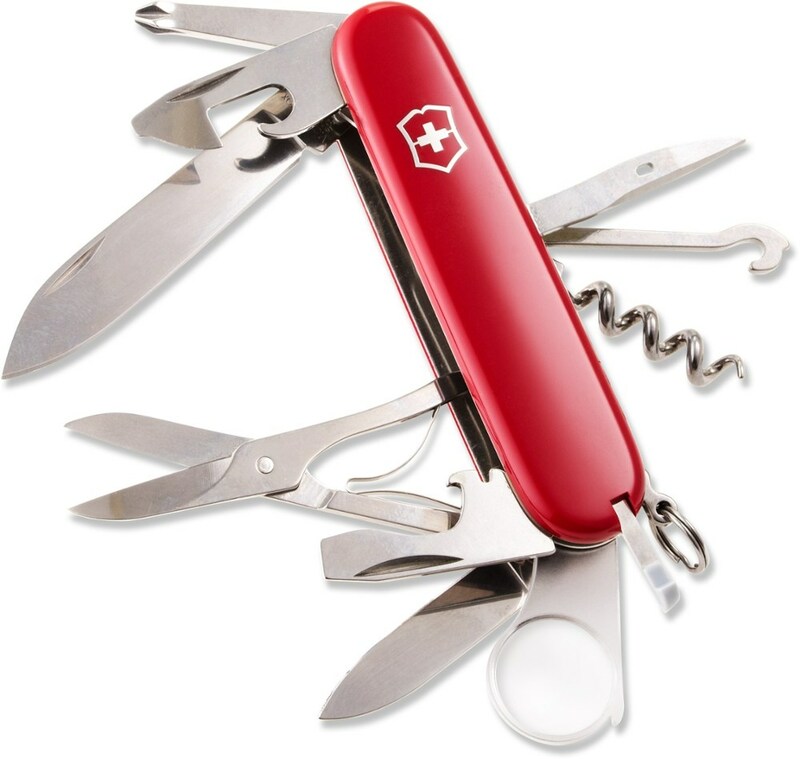 Visit Victorinox Swiss Army's Explorer page. 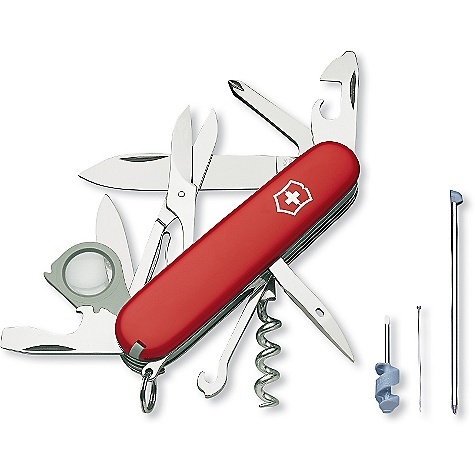 Victorinox Camp & Hike Explorer Swiss Army Knife Red 53791. 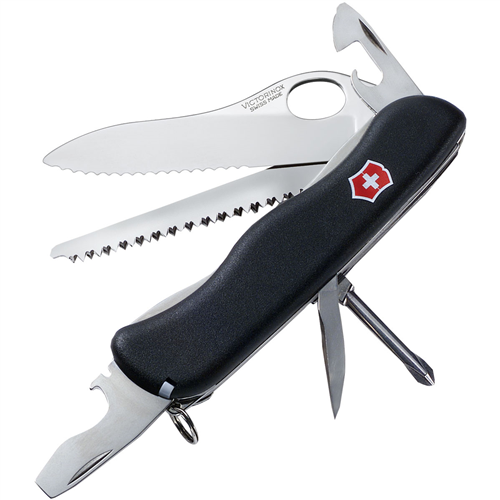 This is where the legend of the Swiss Army Knife began and it continues today with the Victorinox Explorer pocket knife. 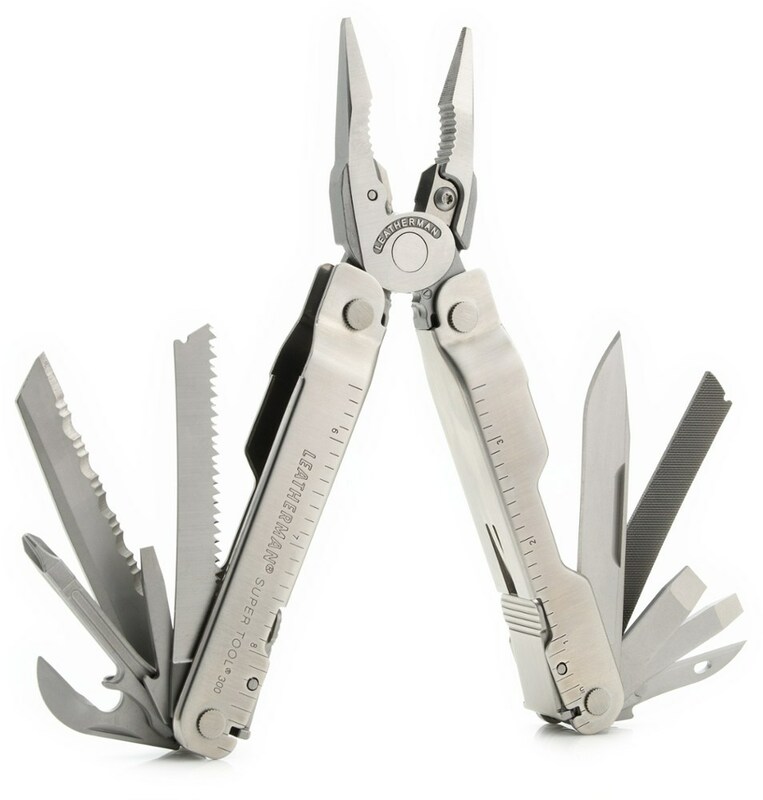 This pocket knife was built to help you figure things out. 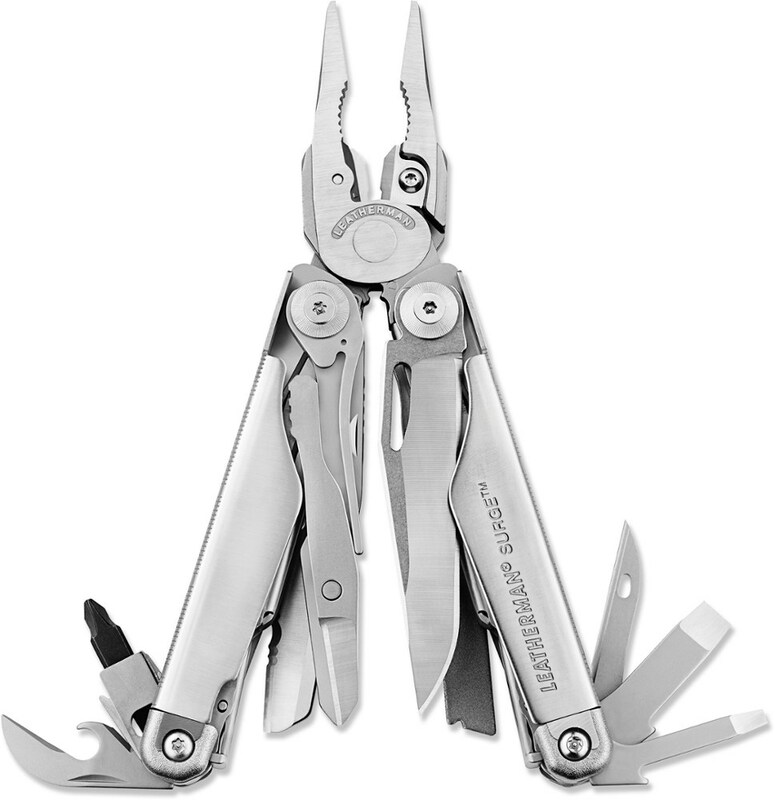 Its 16 functions include the tools you need to take just about anything apart and put it back together and a magnifying glass so you can get a closer look in between. The Victorinox Swiss Army Explorer is a must-have companion for those who love to venture into the wilderness. 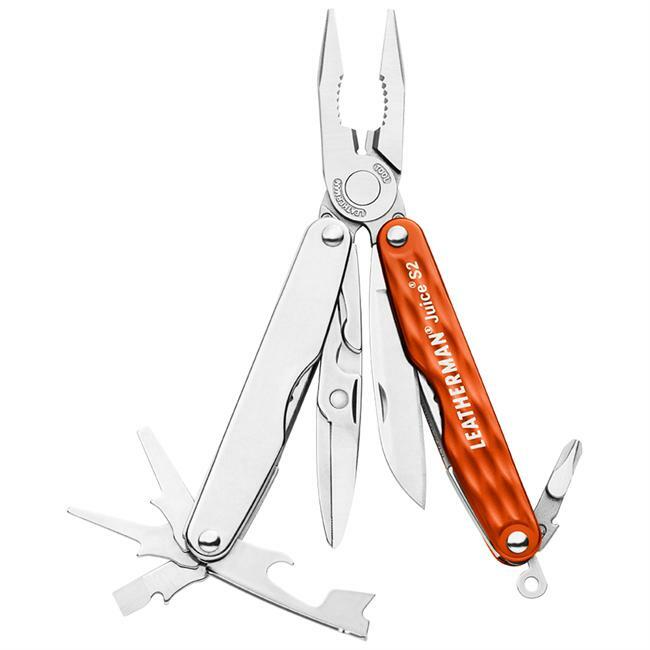 Geology and archaeology hounds appreciate the magnifying glass on the Victorinox Explorer Swiss Army Knife, while the scissors and two knife blades come in handy on a daily apple, thread, and small-wire-cutting basis. 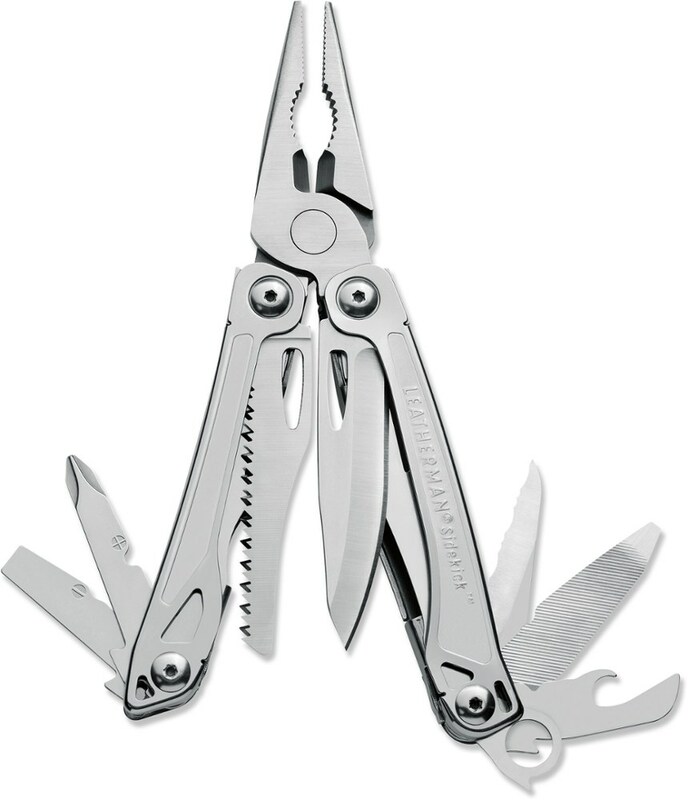 The Explorer Swiss Army Knife's can opener, bottle opener, tweezers, and toothpick come in handy when you're camping or road tripping. The Phillips screwdriver pops out of the top of the handle instead of the middle so it's easy to use for small home and on-the-go repairs.